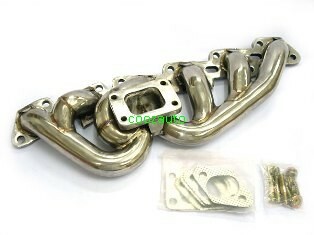 Description:Full Stainless steel with thicknees 2.5mm with wastegate pipe for external wastegate.Come with Flange Suitable Fit TD05L 16G,18G,20G,TD04HL. 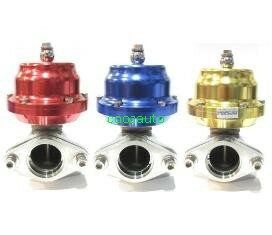 Description: 38mm external wastegate. Small and lightweight, the Ultra-Gate 38 provides high-end features and build quality at an entry-level price. Application: Suitable for all turbocharged vehicles with an external wastegate turbo system. 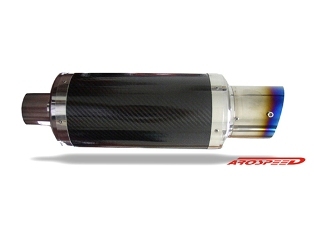 Street and racing applications. Flanges suit 1.50" outside diameter pipe. 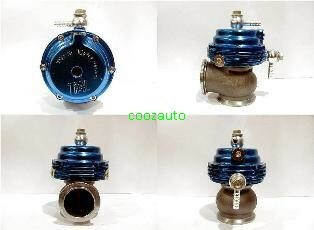 Supplied with: 7psi spring (fitted), valve seat, 2 stainless steel gaskets, mounting bolts and 2 1/8NPT Vacumm fittings. A turbo is a gas compressor used for forced-induction of an internal combustion engine. Like supercharger, the purpose of a turbocharger is to increase the density of air entering the engine to create more power. However, a turbocharger differs in that the compressor is powered by a turbine driven by the engine's own exhaust gases. 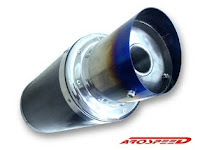 A trap door-like device on the exhaust side of turbocharger that limits the amount of boost a turbo can produce. The Wastegate consist of a spring loaded diaphragm. 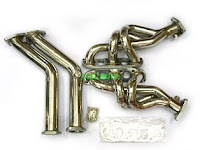 A vacuum hose connects the diaphragm to the intake manifold. 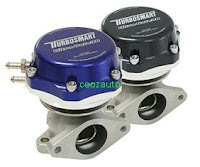 When boost pressure starts to exceed the rating of the Wastegate, the diaphragm pulls open the bypass flap in the turbo housing. This allows some of the exhaust to go around the turbo impeller which slows it down. A Wastegate can be checked by applying pressure to the hose with a hand-held pump. If it doesn't move at the specified pressure, the diaphragm probably ruptured and the Wategate need to be replace. 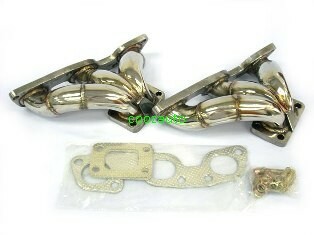 Package include 2 pair of vacuum bolt, 4pcs allen key screw and nut, 2pcs gasket, 2pcs Wastegate adapter. Smaller, lighter and better in every key performance area than its predecessor, the new Ultra-Gate38 provides high-end features and builds quality at an entry-level price. 2 gaskets, 2 NPT fittings, valve seat,mounting bolts and a 7psi spring. MINES F38 Wastegate are race proven units that offer unsurpassed craftsmanship, reliability and functionality for a diverse range of applications. Each Mine’s wastegate is constructed with a stailess steel valve, a die-cast mount base and valve seat, a fulley sealed shaft and a high temperature resistant diaphragm. 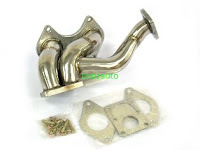 Mine’s has the appropriate wastegate for every application and performance level. Each wastegate type offers several different spring rates for various boost pressure levels to suit your turbo systems perfectly. 2 gaskets, 2 NPT fittings, valve seat,mounting bolts and a 1bar spring. 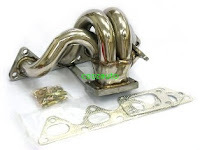 The H40 wastegate wastegates are commonly used for regulating boost levels more precisely than internal wastegates in high power applications, where high boost levels can be achieved.